Have You Been Finding Pennies (and Dreams, and Songs, and Dragonflies…) From Heaven! Saying goodbye to a cherished friend of family member is always heartbreaking, but you can take comfort in the fact that they’re never really gone. Your loved ones who have passed will try to communicate with you to reassure you that life continues even after death. Any time you feel a presence, it’s probably your loved ones trying to give you a gentle reminder that they are okay and continue to be with you. They don’t want to interfere with your life. They just want you to know you are not alone, so you can live your life to your highest and best good. Signs from your loved ones will be soft and quiet. They will use things that are meaningful to send you a “personalized message” that you’re sure to recognize! Love and comfort during difficult times. Your loved ones sense your thoughts and emotions, and they want to help you. If you are happy, doing well and on the right track, your loved ones might not feel the need to make their presence known. But if you are going through a hard time or faced with a tough decision, those are the times when they will reach out to you to reassure you. A lot of times, you will see signs around holidays or special events – those are often very emotional times when you miss your loved ones and struggle with grief. They will want to comfort you and remind you they are okay, and that you will be together again one day. Be open to receiving signs throughout the day. There are so many ways your loved ones will try to communicate. It could be a smell that triggers a memory, like an unexpected whiff of familiar aftershave, or the smell of a special flower, or the spices they used to use in making your favorite meal. Dragonflies, butterflies and rainbows are divine symbols that ill show up when you least expect, when you need to know that your loved one is with you. Say hello to your loved one’s soul the next time a butterfly flutters past! 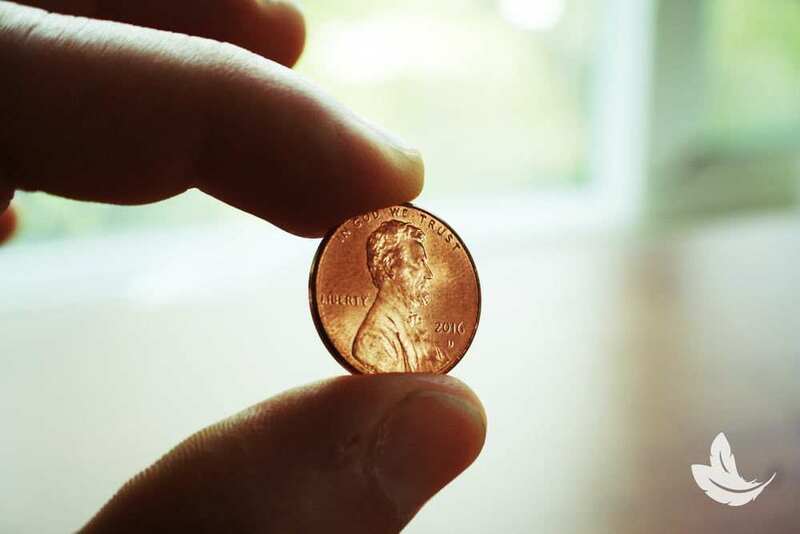 When you see a random coin or penny, that could also be a sign. If you pick it up and check the date, it might be a meaningful number or date that was special in your relationship with your loved one. Maybe you’ll hear a song they used to sing to you or a song that they loved or a song that has special meaning to you. Maybe they’re just saying hi. Maybe they’re sending you a message through the lyrics. If you acknowledge the sign, your loved ones will know that you heard them. They will be able to communicate with you more and more and in different ways. If you negate the sign, it tells them you aren’t ready to communicate. But don’t worry. They will keep trying. Next time, we’re going to talk about how they use repetition to keep after you until you finally are ready to listen and recognize that your loved ones are with you. Thank you Matt. I hope I get a sign it’s been awhile and miss my daughter so much!! My Mom passed in 2016 then my Dad just last December. Why havn’t they visited me yet? I am so sad my heart aches. It’s been really rough. I have heard that seeing a cardinal is a sign that a loved one is visiting. Well one day I was skimming through the TV guide and decided to watch a show about life after death. As soon as I turned that program on, a cardinal appeared in the bush outside my window directly in front of me. I knew it was my mother. We had always talked about how I wanted her to visit me after she passed away. It sure made me feel more connected to her. Will I be receiving emails of where your events will be. My husband died 14 years ago dream all the time of him . Is this good? Yes…Lots of feathers, butterflies, a fair few visitation dreams & pennies too, also special songs… these are always welcome, thanks for this reminder, Matt! I went to one of your events in New Jersey and I was lucky enough to have my son come through, it was to say the least wonderful, you made me feel a peace and calm that I really needed. You told me to wait a year to do a video conferencing in order to allow for his adjustment on the other side, until then God Bless you and your lovely family. I know I will meet you soon. I live in Council Bluffs Iowa. I don’t know who is trying to communicate but I feel a flood gate ready to burst open from the other side. Right now it is so heavy. I sense that you can feel it as your reading this.